Ardalanish Farm lies in the remote south west corner of the Isle of Mull in the Inner Hebrides in Scotland, near the gorgeous white sand beach in Ardalanish Bay. They rear native Kyloe Highland cattle and Hebridean sheep, and use the sheeps’ wool for weaving their unique and distinctive tweeds. 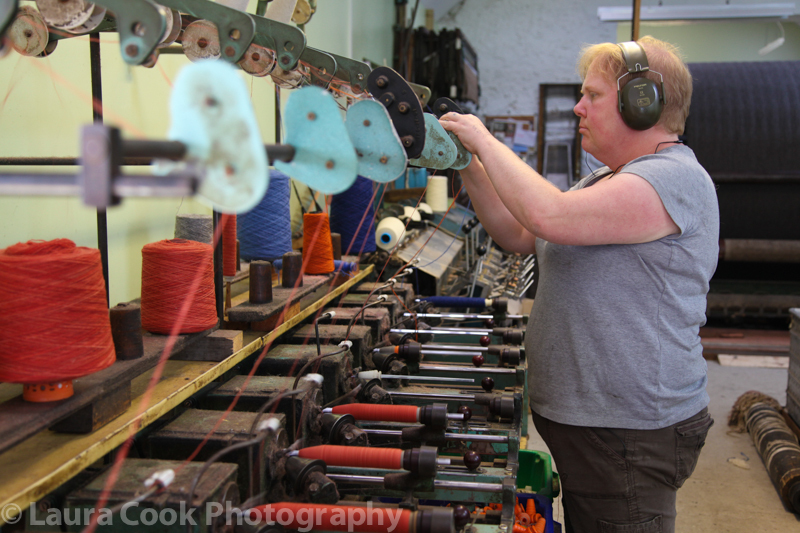 My husband and I spent some time there today looking around and saw some weaving taking place. 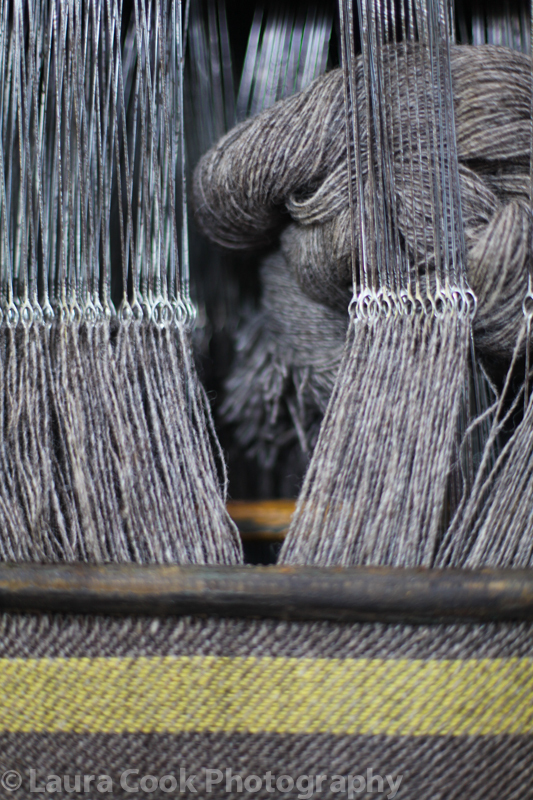 Beautiful cloth and textiles are produced, Ardalanish Farm is well worth a visit if you are on the Isle of Mull. 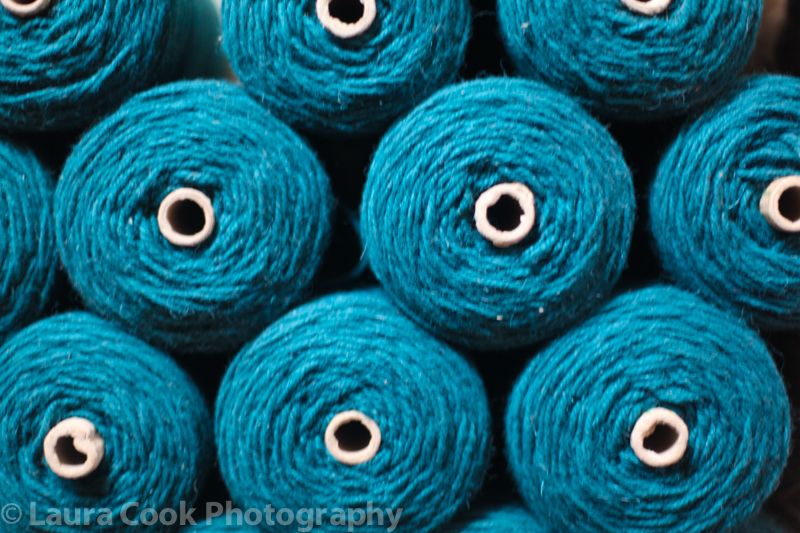 I loved the textures and colours in the mill. Here are some shots from my mini-tour…. 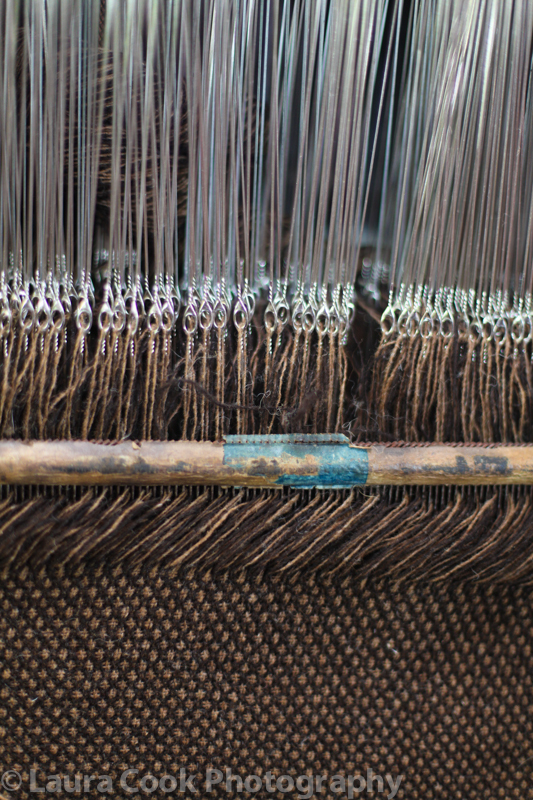 Ardalanish weavers believe in the importance of local production. 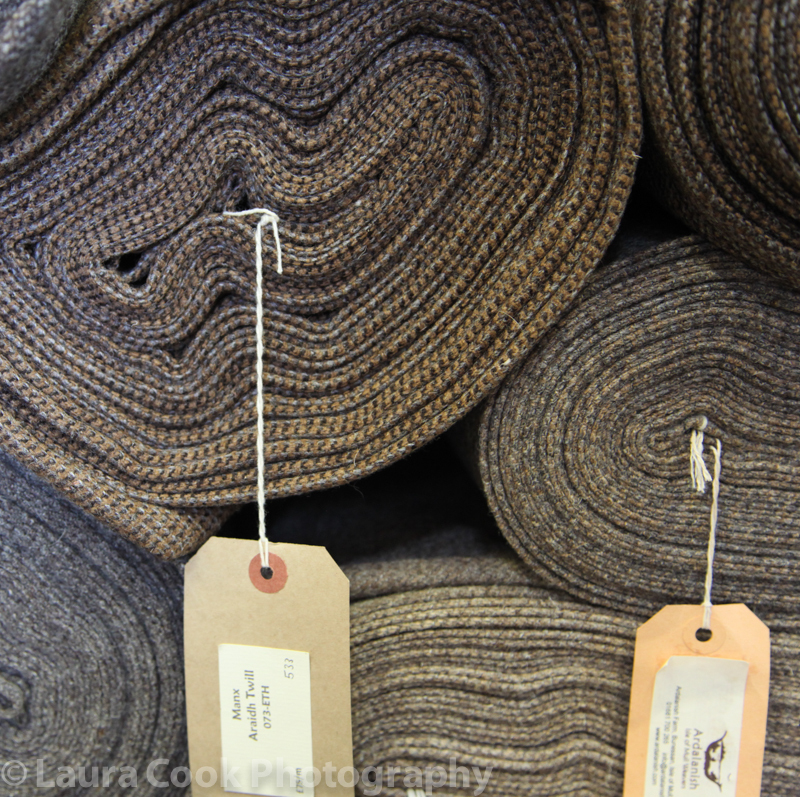 Beautiful textures and natural colours – wool on the loom. Carefully crafted to a high standard. Look at the gorgeous colours! As blue as the ocean in the nearby Ardalanish Bay! Finished product ready for someone’s home. Fascinating. 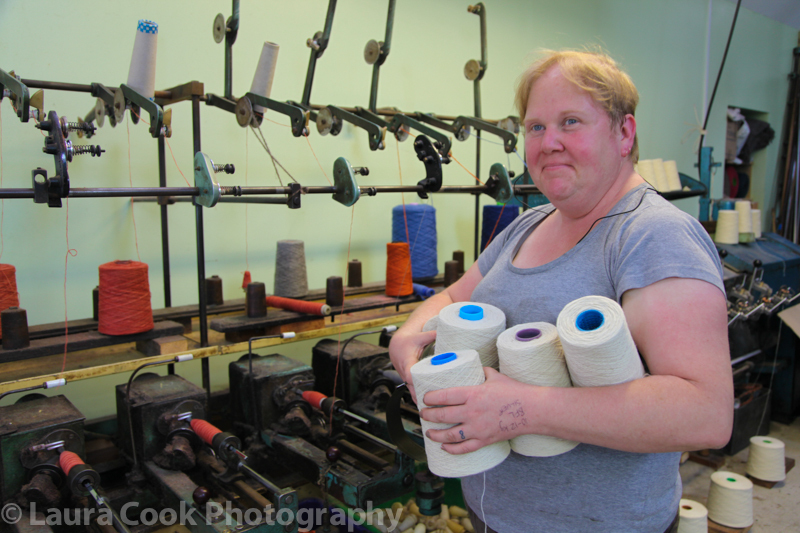 The photo with all the eyes that the wool gets threaded through amazes me and makes me tired at the same time…whoever loads them must have the patience of Job. 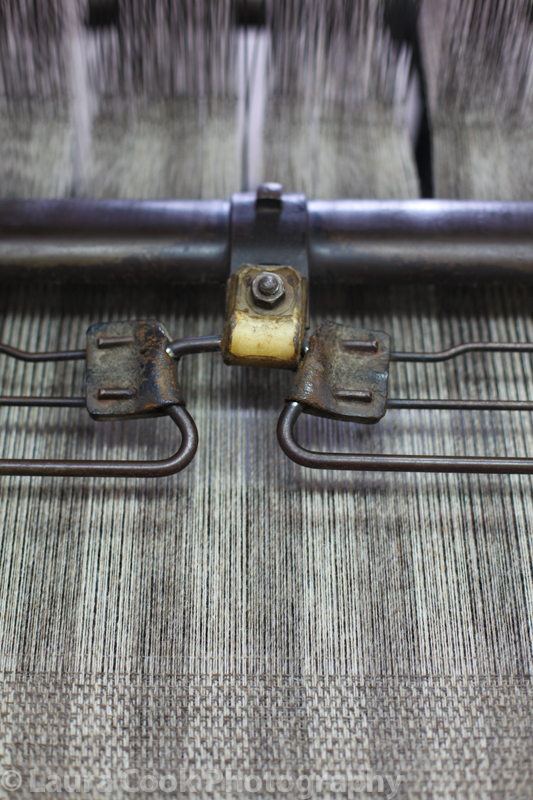 I would be useless as a weaver… As you say a lot of patience required! I think I would be the same! Lovely visual tour, thank you!